Crack some eggs in a bowl. Beat vigorously so that the eggs aerate. Season with salt and pepper. Heat a pan over medium-high heat. Add some butter. 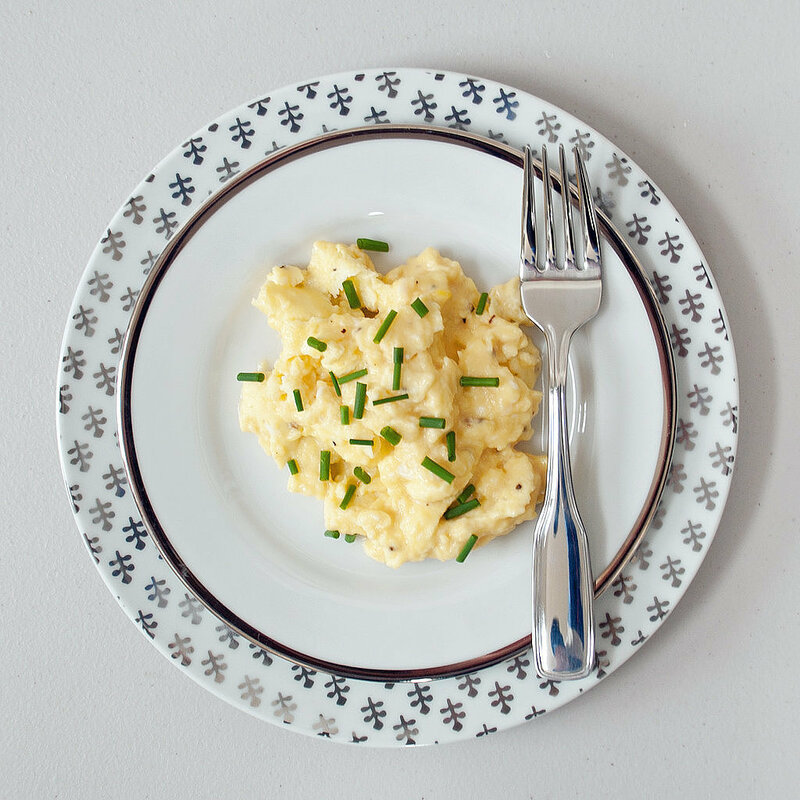 Add eggs to pan and scramble eggs with a wire whisk until soft curds begin to form. Put down the whisk and use a wooden spatula to gently fold the eggs until they firm up slightly.